Buying cheap flight tickets is all about where and how you search. There is a jungle of airline companies and airfare search engines on the internet, and knowing the ins and outs can be of tremendous benefit. This guide will give you some simple tips and tricks on how navigate through this jungle. By following the methods in this guide you will most certainly save money on your future airfares. The more flexible you are the more likely you are to find cheap flight tickets. A Monday to Thursday trip will generally be a lot cheaper than a Thursday to Sunday trip. The time of travel also has a big influence on the price. Traveling early in the morning or late in the evening will usually be the most affordable. However, do remember the total costs of the trip, as flying out very late might force you to take a taxi and end up costing more than what you save for a lower airfare. Flexibility is especially important around holiday times, when demand is at its highest. Changing your departure or return date by just one day might save you a lot of money. For example, the longer you can wait after New Years to fly home, the cheaper your ticket will be. Further, the biggest savings usually come if you can fly on the actual holiday, such as Christmas Day or Thanksgiving. The downside is that your family might not be too happy about it. To take full advantage of flexibility you should use the flexible days features in search engines such as Kayak and Momondo, or the month viewer feature offered by Skyscanner. As soon as the airline company starts selling flight tickets for a destination, the cheapest ones are sold first. But there are only a certain number of tickets sold for the lowest price. As soon as these are sold out, the demand for the tickets dictates the price. The airline companies have software to adjust the prices according to demand. Research suggests that you are most likely to find the lowest price between one and four months prior to departure. A study by Expedia and the Airlines Reporting Corporation analyzed billions of passenger flights in 2016 and concluded that the best day to buy airline tickets is Sunday, especially if you’re booking more than 21 days prior to departure. The study also mentions that you should avoid buying on Friday, when there is an uptick in business travel bookings. On average planes are least full on Tuesdays, followed by Wednesdays and Saturdays due to low demands . That means if you can fly on one of these days you will most likely find the lowest fares. Another perk is that you will cruise through airport security checks. In the last years we have seen a great number of budget airlines emerging, especially in Europe and Asia. They are becoming increasingly competitive on both domestic and long-haul flights. Their business model is simple: you pay only for what you need, not all the extra added perks. That means that if you can manage without all the extra service included you will be able to save a lot in price. As an example, a quick search on the low-cost airline Norwegian shows that you can currently purchase tickets from Oslo to Bangkok for as little as 269 USD. Do, however, be aware of extra charges such as checked baggage and meals on flight when making the comparison. Make sure you take into account the final price of booking the ticket when comparing prices. Don’t be tempted by the initial price displayed in the airfare search engine. Rather, click through the end to payment so you can see all the hidden fees associated with that particular flight booking. Being flexible with the route can be just as cost saving as being flexible with dates and times. A non-stop flight might sound very tempting, but in most cases you end up paying extra for the added comfort. In many cases it can be cheaper to for example fly with a budget airline to London, and then another low-cost airline to your final destination. An important point to note in terms of layovers is to ensure that you have enough time. Booking everything on one ticket will ensure that your luggage in most cases will be transferred automatically, and in case of delays the airline alliance will put you on a new flight. However, if you make separate bookings you will need to recheck your baggage. Ensure that you have sufficient time by doing a quick search on recommended transfer times for that particular airport. Budget airlines like JetBlue, Norwegian, Spirit and Southwest price their fares based on one-way purchases, pricing each flight accordingly. That means that it sometimes can pay off to purchase two one-way tickets from multiple airlines, rather than a round-trip ticket. Major airlines do unfortunately still seem to charge round-trip price or more for one-way tickets. Many times it will pay off to purchase one ticket at a time. This is due to the way the ticketing system for airlines work. If you search for two tickets at the same time, the ticketing system will give you the highest ticket price for all tickets. An example would be that if there is only 1 ticket left for 100 USD and the next ticket costs for 200 USD, the ticketing system will give you 2 tickets for 200 USD each – a total of 400 USD. If you rather purchased one ticket at a time, the total price would be 300 USD (100 + 200). For various reasons, local airlines do not always show on the major airfare search engines. Try to search and ask around for local airlines with less developed websites. Many times these offer cheap flight tickets because they avoid the higher costs associated with landing on the main airports. You should always check if there is an alternative airport close to your final destination, and whether you could save money by flying to that one. 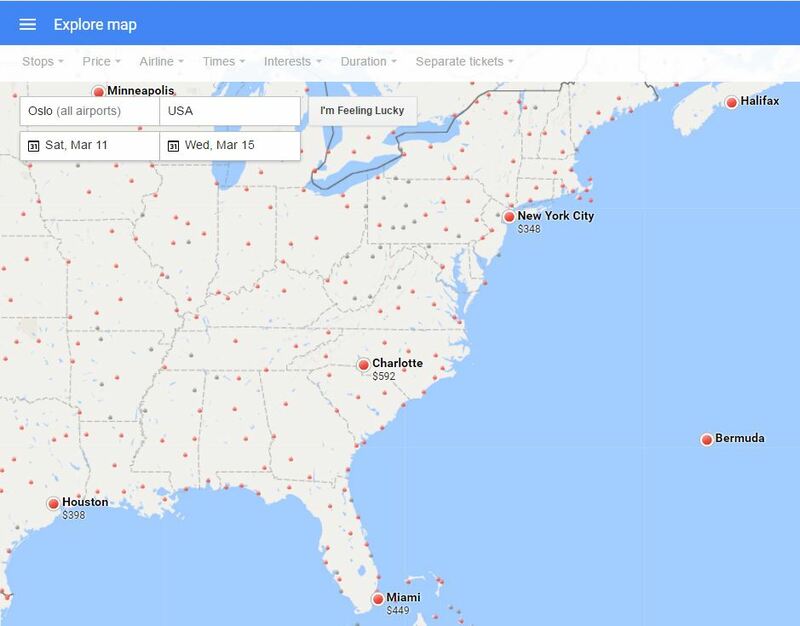 A simple way of doing this is to open Google Flights, type in the continent or area of your destination (such as Southeast Asia), and look at prices to nearby airports. If you find airports that seem cheaper, compare that airport with the price to your direct destination. If you fall under the category of student or youth (usually under 26) there are possibilities to take advantage of extra discounts. Looking at sites such as STA Travel and StudentUniverse or searching for student discount codes can make a big difference when you want to buy cheap flight tickets. You can sometimes save money by looking to see whether the rate is lower if paid in another currency. This is especially the case if your currency is relatively strong compared to the local currency of your final destination. However, make sure you consider foreign-currency fees that your credit card supplier might charge you when making the comparison. Signing up for airline news letters will ensure that you are the first to receive information about promotions and discounts to various destinations. Some of these offers will only be sent out in newsletters, and are sold out fairly quickly. If you receive a deal that you find particularly attractive, ensure that you act quickly on it. Most airlines offer mileage programs as a way of retaining customers. For every flight you take you should make sure that you collect the miles. Before you know it you might have racked up enough air miles to either get a free or heavily discounted flight. Many airlines also have special offers to their bonus members, especially when you get a higher status. Another way of earning miles is through credit cards that are offered by the airline companies. If you order one of these credit cards and make it a habit to pay for all your purchases with that credit card you will quickly receive miles from your daily purchases. A point to note is that you shouldn’t go all out. Do not always fly with the same airline just to earn mileage points. That can get expensive in the long run, especially when you could have traveled for less money with a cheaper airline. In some cases it can pay off to purchase your flight and hotel stays as part of a package deal instead of booking each separately. This is because many hotels take advantage of hiding their discounts in a packaged price rather than discounting just the hotel. In many countries purchasing a package deal will give you more of a leverage insurance-wise if things go wrong. If you are traveling with children you should look into ticket prices for the children. Many airline companies have various discount arrangements for children, and these vary greatly. The most reasonable option for adults traveling is not necessarily the cheapest if you take into account possible children discounts another airline company might offer. Although I don’t generally recommend waiting until last minute before booking a flight in hopes that prices might drop, there are exceptions to every rule. You might be a very impulsive person and decide on your next trip only a few days in advance. Last-minute flights can also work especially well for charter flights, as they often have spare seats to fill. Using various sites that keep you informed about last-minute flights such as Skyscanner and Hotwire, or checking the airline newsletters, can save you a great deal of money if you’re capable and willing to make a decision quickly. Most of us have had times where we continuously search for flight tickets to a particular destination, only to find out that the more we search, the more the price increases. This could of course be due to changes in natural factors such as availability and how far in advance the particular flight is. But sometimes it is explained by something called browser cookies. Browser cookies are downloaded to your computer when you visit a website and keep track of your actions on that site. 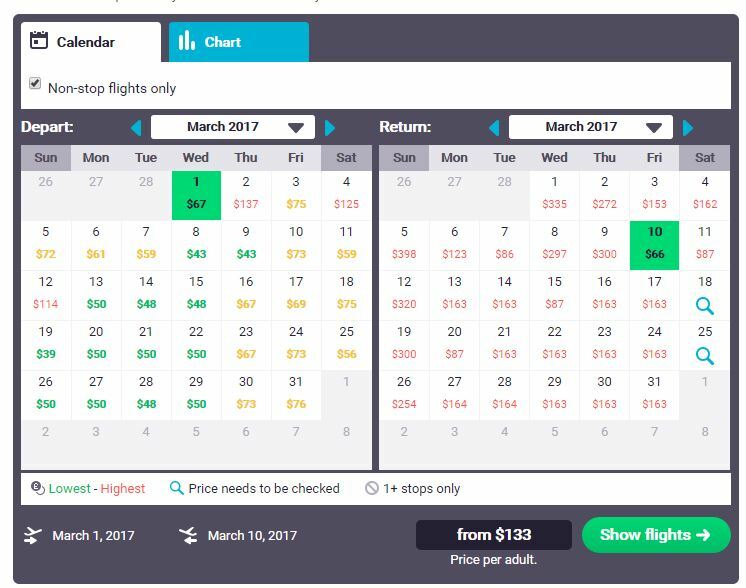 This allows the airfare search engine to see that you are particularly interested in a destination, and adjust prices accordingly. It follows from the basic psychological principle: the more you are interested in something, the more you are willing to pay for it. So what can you do? You can avoid such price surges by turning off browser cookies and search for fares anonymously. This is done by going incognito. 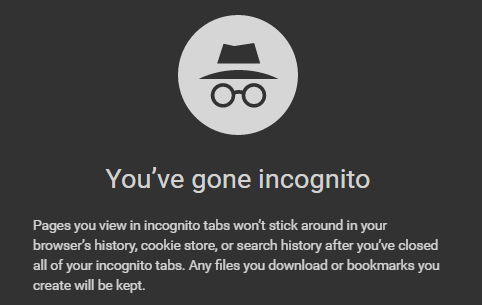 In the main browsers you go incognito simply done by pressing CTRL+SHIFT+N (Windows) or CMD+SHIFT+N (Mac). That will open a new incognito window, and allow you to surf anonymously. You do this every time you want to start with a clean slate of flight searches. Now that you know how to buy cheap flight tickets, take a look at our travel guides to find your next destination. Great information guys. Thanks ?